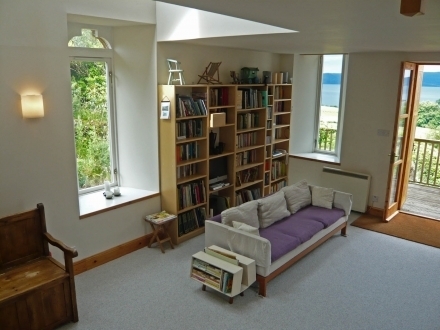 The Chapel is positioned in a spectacular elevated spot looking West over Loch Fyne, The Chapel provides the perfect accommodation for a comfortable and beautiful Scottish holiday. 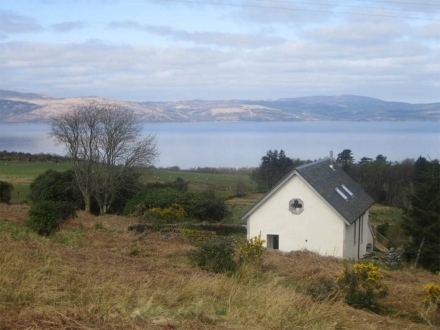 Situated in a glorious elevated position looking West over Loch Fyne, Argyll, The Chapel has been lovingly converted to provide the perfect setting for a wonderfully comfortable and stylish Scottish holiday. 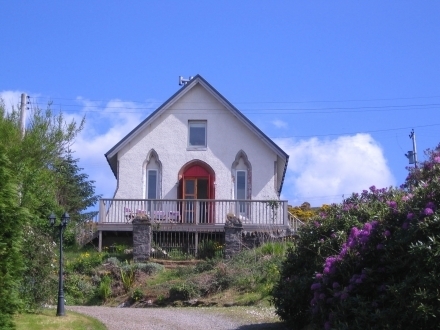 Ideal for couples or a family, this former 19th Century 'Wee Free' Church with its tall windows has been converted for spacious and airy modern day living. 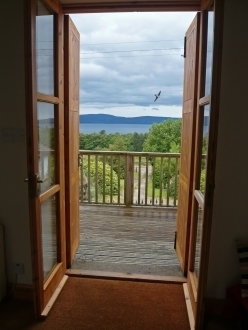 With a wood burning stove providing cosy warmth in the winter, the sitting room can be transformed in summer by opening the large French doors onto an elevated hardwood deck which commands stunning views across the loch to the mountains and islands beyond. 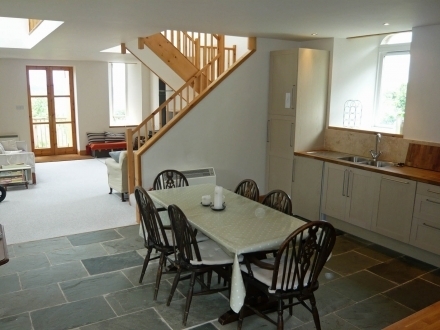 Start the day in the well equipped, striking slate floored kitchen with an invigorating cup of coffee and finish it on the deck enjoying a glass of the local Malt whilst watching the ever changing skies and beautiful evening sunset over the water, with far reaching views to the mountains of Mull. 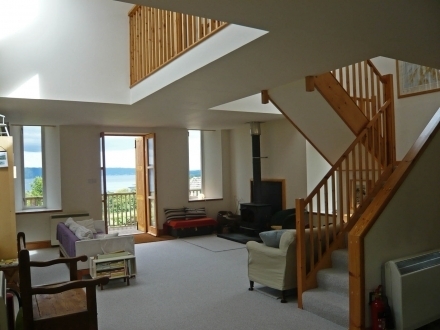 The time in between is yours to choose, with many exciting day trips whether it be walking, fishing, sailing, island hopping or just relaxing in this friendly local community with its fascinating history and wild beauty. 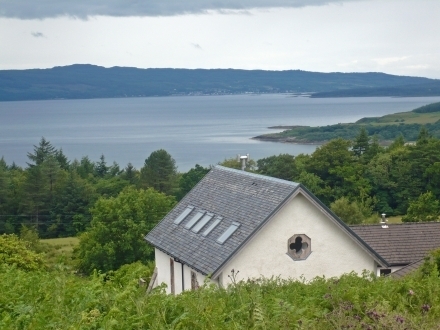 With the delights of Argyll on your doorstep, The Chapel is a wonderful self catering holiday cottage from which to explore this lovely area of Scotland. 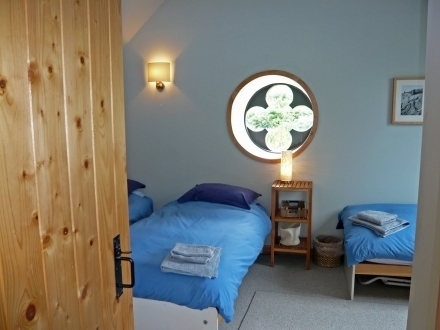 As a previous guest wrote, "The Chapel with its terrific atmosphere and stunning scenery has been given a new lease of life for generations of family and friends to enjoy". 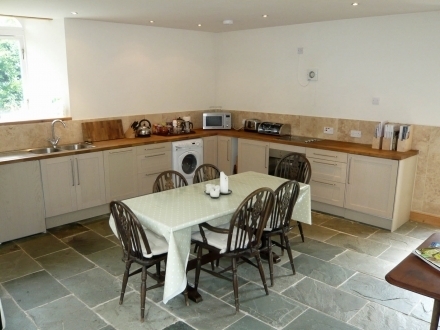 Open Plan kitchen, dining and sitting room with wood burning stove. French doors lead onto large West facing decking. Separate utility area and shower room/WC. 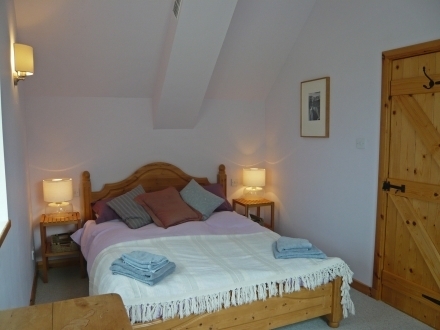 Double bedroom with king sized bed. Family bedroom with 3 single beds. Shower room with separate WC with WHB. Infant travel cot available on request. Bright and airy due to Velux windows, many being South facing. Telephone for Emergency and incoming calls only.